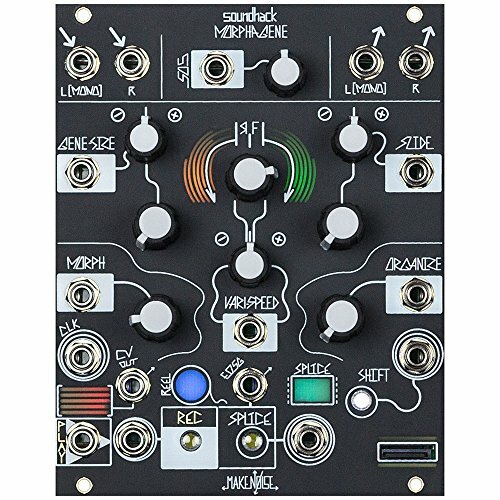 The Make Noise Morphagene is a modular synth module that incorporates tape music and micro sounds. An SD card stores splices, with slide control you can scan through splice and explore transience in the micro realm of each splice. Morph control introduces polyphony into the module, creating shimmering overtones in fifths and octaves. Time lag accumulator mode allows you rerecord splices over themselves where every iteration of the buffer will pitch shift creating cascading and shimmering effects. If you have any questions about this product by Make Noise, contact us by completing and submitting the form below. If you are looking for a specif part number, please include it with your message.